Stuck, depressed, miserable at her corporate job, crying at her desk everyday, wishing to live somewhere else, and scared to make a total career change, Melody Spencer felt like life was just an endless cycle of stress. One day Melody decided enough was enough, and she quit her soul-sucking job to dip her toe into the freelance digital marketing world. Now Melody helps female business owners learn to utilize Facebook ads to find their soulmate clients and create a strategic digital marketing plan that rocks! 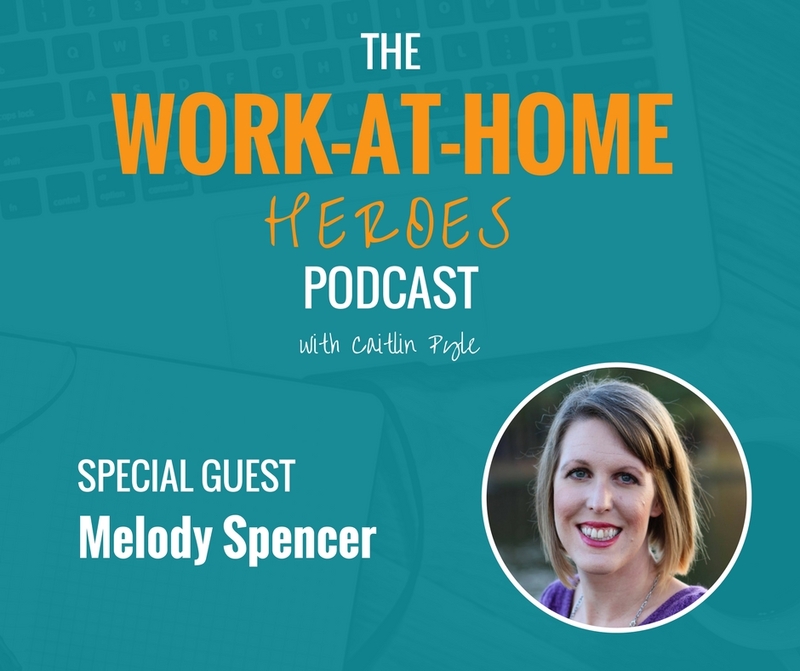 Read the transcript of The Work-at-Home Heroes podcast Episode 14 here. Sign up for Melody’s Digital Marketing Strategy Bootcamp to learn valuable marketing skills to grow your business! You can contact Melody through her website or her Facebook page. She would love to hear from you! Got a question for Melody about this episode? Head over to the Work-At-Home Heroes Facebook page and ask on this dedicated thread! Previous Event planner turned blogger turned Pinterest account manager and content creator! I would love to do the freelance editing but I do not have a Facebook account which seems to be stressed. How would some one like me be able to be successful in this type of home based business without Facebook? Hey, Sharon! There are other platforms you can focus on if you'd rather not try Facebook; however, I strongly encourage you to give it a shot. Pretty much everyone has a Facebook account, so it'd be in your best interest to learn as much as you can about the platform and use it to grow your business. Right?! So glad you enjoyed her story!